What does it mean for a national government to actively support tourism? How does that play out, and what difference can it make? Last week I attended a trade show sponsored by the Ecuador Department of Tourism. The representatives told us that Travel and Tourism is the third largest source of income for Ecuador. (Only bananas and shrimp bring in more money!) This ranking is up from being sixth only a few years ago. This rise is no accident. Clearly Ecuador has recognized its proverbial goose that lays golden eggs and they are helping it to thrive. So I wondered, “How do they do that?” They use a comprehensive approach, starting with basics. Increase safety for travelers and locals alike. Improve infrastructure. Making it easy and comfortable to arrive and travel within the country are the sorts of things that only government can do. Protect their natural and cultural assets to prevent overuse and squandering. 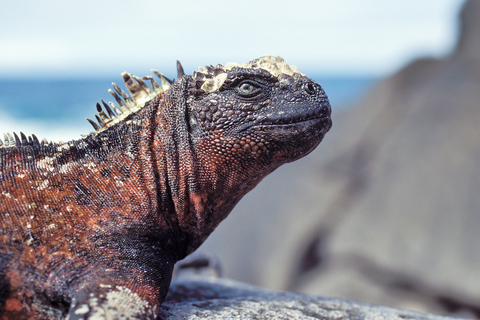 Realizing that too many visitors will destroy the unique habitat that make the Galapagos a Bucket List destination, Ecuador has always restricted the number and activities of travelers there. Bring together all interested parties (not just the ones with big money) to cooperate in development of assets. Ecuador has protected the rights of indigenous people to maintain their traditional lifestyles while also allowing them to profit from involvement with curious visitors. Naturalists and guides in ecologically sensitive areas are predominantly Ecuadoran. Protect the Rights of the Environment in the national constitution. Court appropriate international interests and investment (without giving away the store). Advertise. Ecuador has been very busy promoting all there is to see and do in their amazingly diverse country. They ran a lovely ad during Super Bowl XLIX (directly below), and have been busy contacting travel agents to be sure we know all that is available. We all learned decades ago that governments are formed to “establish justice, insure domestic tranquility,…(and) promote the general welfare” of their people. Like its regional neighbors Peru, Panama, and Costa Rica, Ecuador is doing all that with enthusiasm and effectiveness. I will be going to Ecuador before the end of the year. Let me know if I can plan a trip for you! Here is a longer, less hypnotic and more expansive video about all you can do in Ecuador. This entry was posted in Travel, Uncategorized and tagged constitution, Ecuador, environment, Galapagos, indigenous cultures, sustainable tourism, tourism, travel. Bookmark the permalink.